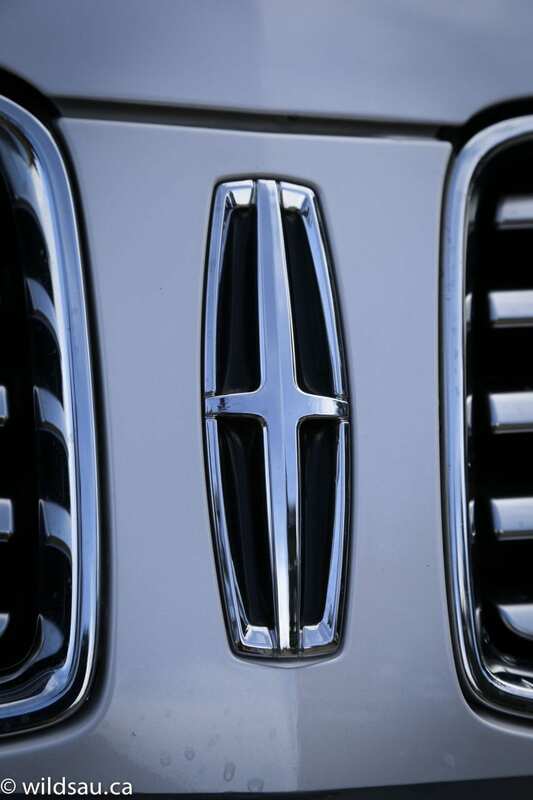 The Lincoln brand has seemingly escaped the attention of buyers lately. 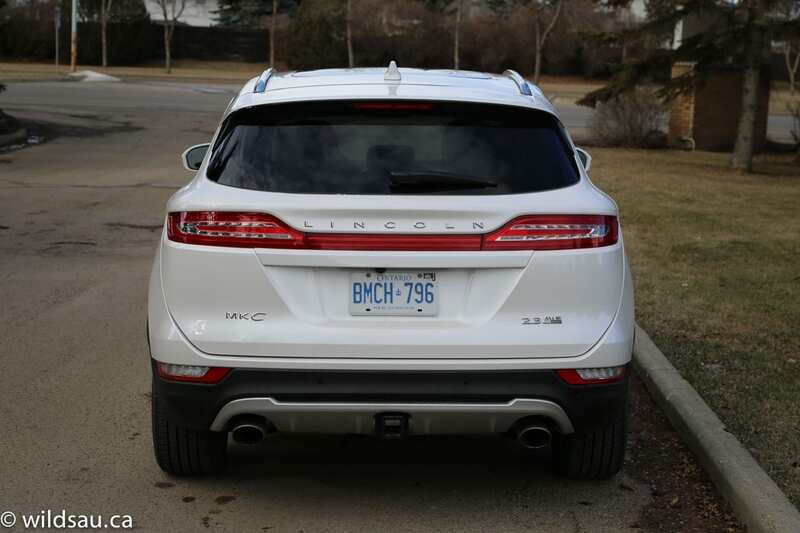 Plenty of folks see it as nothing more than a fancy Ford with a badge, but the MKC is Lincoln’s attempt to change that perception. The weird and somewhat unfortunate (and much-mocked) ads featuring Matthew McConaughey didn’t help matters. Or did they? I’d argue that any publicity is good publicity, because somehow those wacky and weird ads boosted Lincoln’s sales by 25% last November. Go figure. 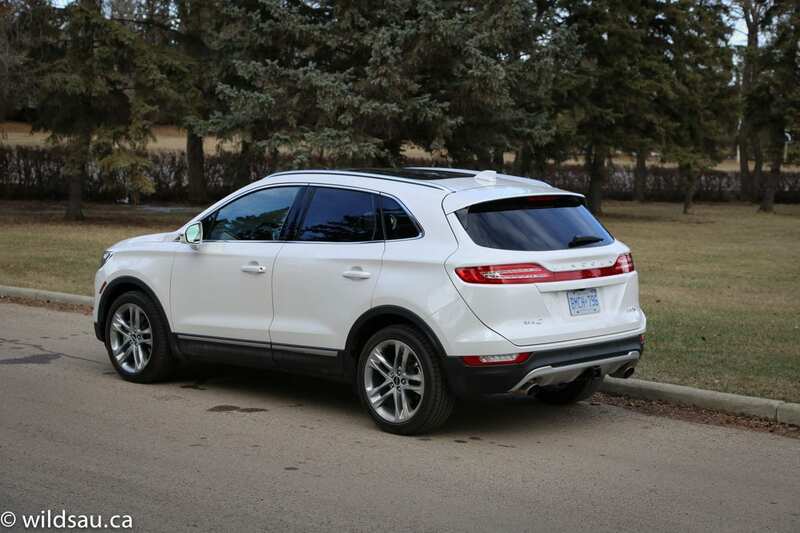 The MKC is roughly the size of a Ford Escape – mainly because it is one underneath. Well, it’s based on the same architecture. I like the look of the MKC. It’s certainly more upscale looking than the Escape, with its muscular ripples and the dramatic LED lighting that ties the rear corners together. 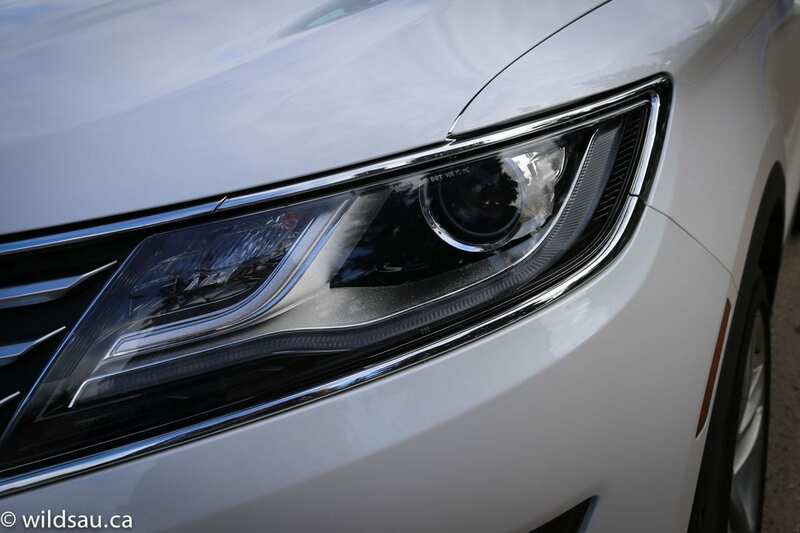 There’s also the split-wing grille surrounded by HID headlights, strips of LED driving lights, as well as a swoopy LED signature light signature that surrounds the headlights. The wheels, 18-inchers in this case with nice fat 245/45-sized rubber, are lovely and suit the vehicle. When you walk up to the MKC, a bright Lincoln logo welcome mat is cast onto the pavement beside your car and the door handles glow softly as you approach. Nice touches. 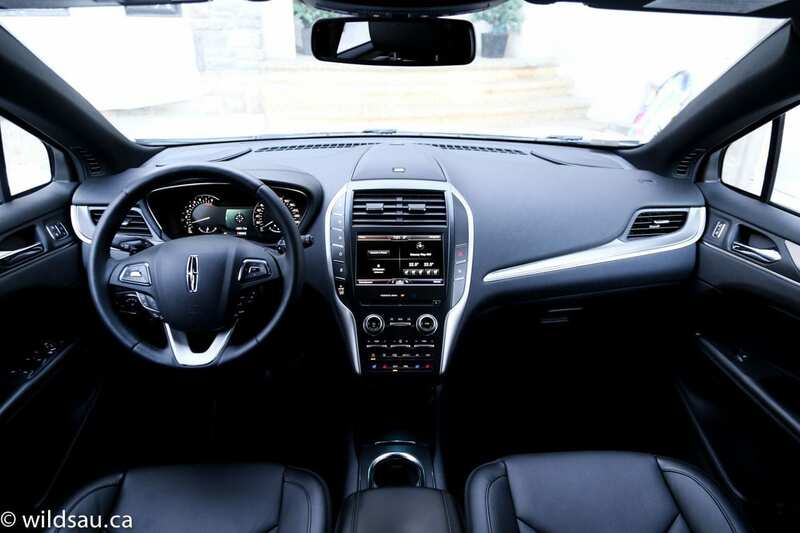 While too dark for my tastes, the MKC’s cabin certainly does get a premium look with its cut and sewn dash panels. The materials are nice and the fit and finish appeared to be excellent. 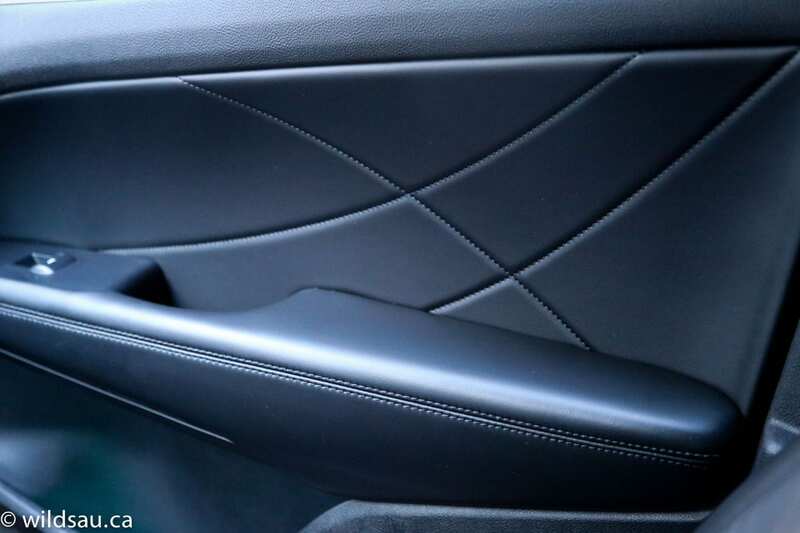 I particularly liked the swoopy eye-catching patterns stitched into the door panels. It’s not a large cockpit, but there was enough head room for me at 5’10”, with a couple of inches to spare. 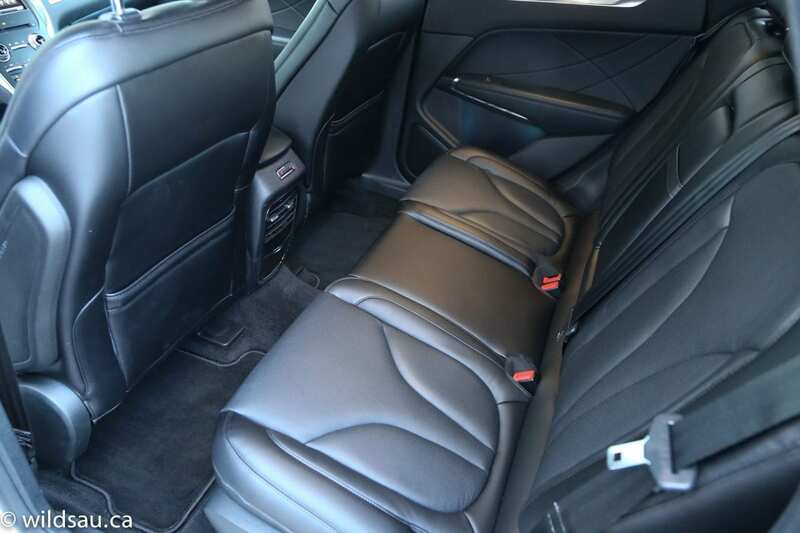 The seats – Lincoln makes a big deal that they’re upholstered in Bridge of Weir leather, which I hadn’t heard of before this – are heated, cooled, power-adjustable, and contrary to what I’ve read, quite comfortable. The driver’s side has memory settings. 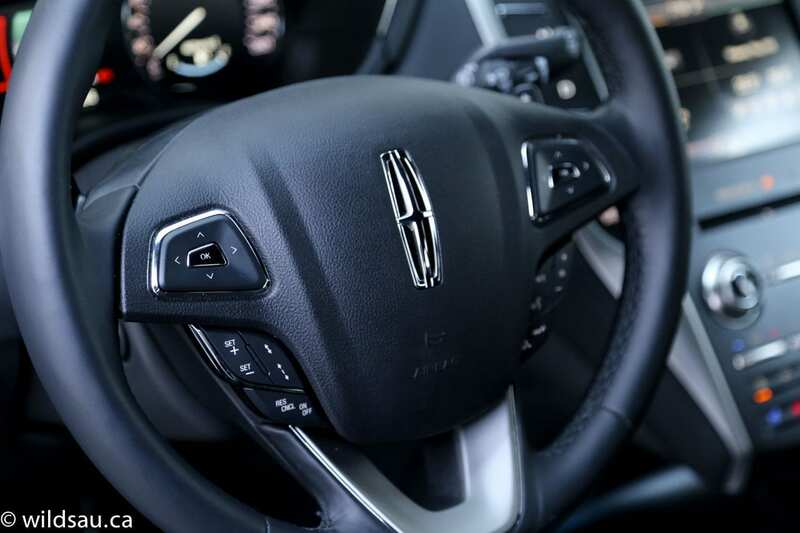 Lincoln adds a heated steering wheel that’s nice to hold, and the steering column is power-adjustable. The gauges are pretty cool – the tach on the left has a driver information screen in the centre, and there’s another information screen separating the gauges. Instead of a full centre stack, the middle part of the dash turns into a kind of chin that juts out, Brian Mulroney-like. 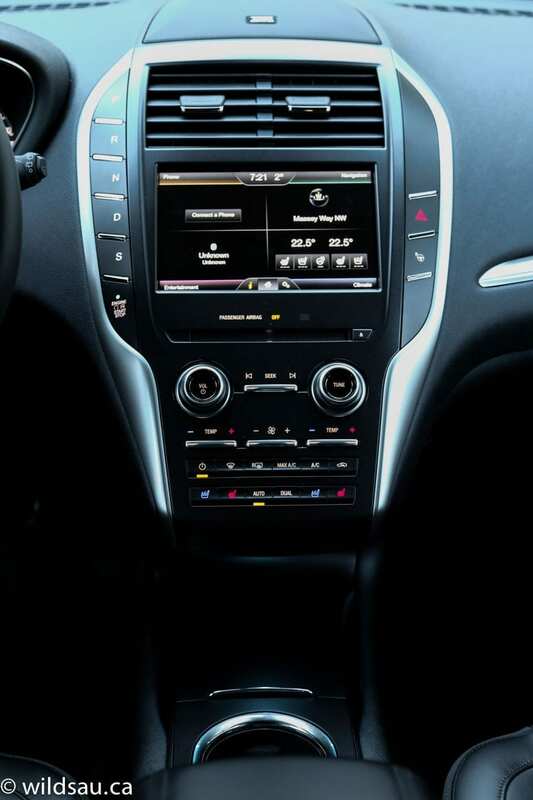 The strongest reminder of the MKC’s roots sits front and centre at the top of the chin – the 8-inch MyLincolnTouch screen is essentially MyFordTouch. I am used to it and the system functions well enough for me. And hey, here’s a concept – actual knobs and switches. Lincoln has left the touch-strip era behind, and not a moment too soon. While some are a bit small and difficult to read quickly, I will take this set-up any day over the old slide-your-finger-along-the-strip-and-pray-something-happens-but-hopefully-not-too-much. 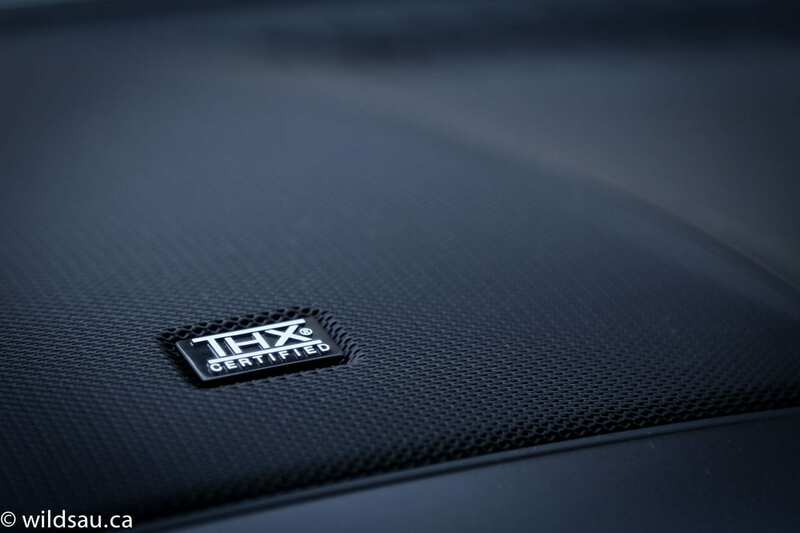 The THX-certified sound system is one of my favorites and does a great job. Something I did not get used to was the unique push-button transmission control. I’m not a fan of these systems, as it doesn’t feel natural to me. Other drivers might get used to it quicker, but I hated it when making a multi-point turn in a parking lot. The nicest thing I can say about it is that it certainly clears up some space on the centre console. But in the end, nothing about this set-up says luxury. The massive panoramic sunroof is a nice touch and brightens up the interior considerably. There’s no shortage of driver assistance technology in the MKC. It includes active park assist, blind spot monitoring, rear cross-traffic alert, lane-keeping assist, adaptive cruise control, as well as a back-up camera and parking sensors. All of this worked well for me, and none of it seemed intrusive. Being a compact crossover, you’ll know better than to expect the space of a Navigator in the back, but I’m a sorta average-sized guy at 5’10”, and I had enough room to comfortably sit behind my driver seating position. But I’m kind of at the maximum end of the size spectrum. Head room is just adequate for me and leg room is decent. Anyone taller than me will likely be unhappy. 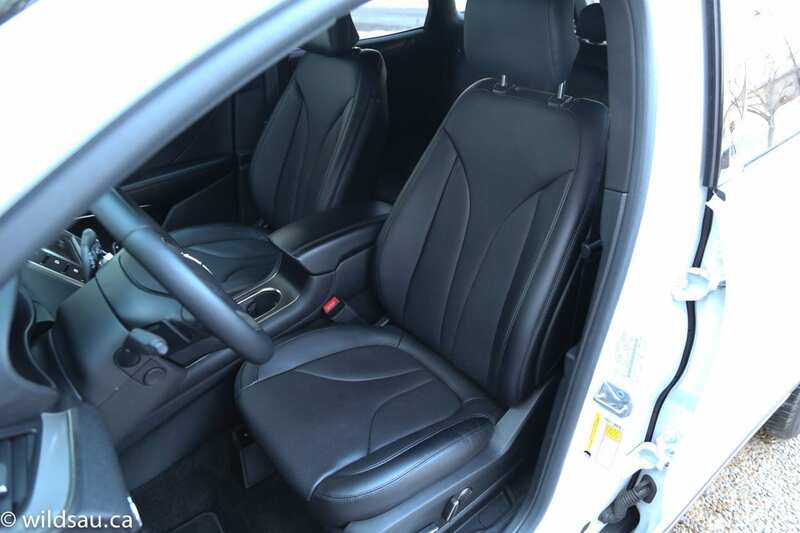 The two outboard rear seats recline and are quite comfortable, and they’re heated! The middle position has to deal with a lack of foot room, as well as a little tunnel on the floor, but I found the seat cushion wider than most rear middle seats, which is enough to make it useable for an adult. 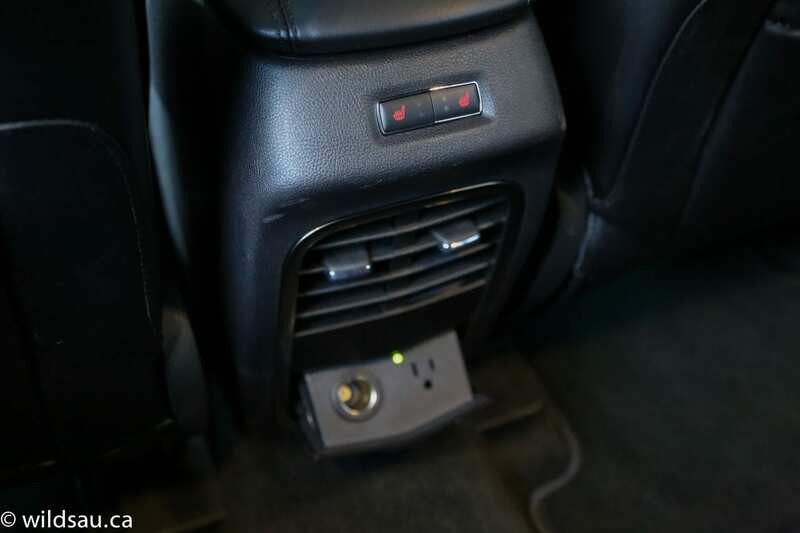 You’ll find adjustable air vents, as well as a little pop-out panel that has a 12V and a household plug on it. Nice! There’s a smallish sliding lid at the front of the console – slide it forward and it reveals a bin with USB, auxiliary and 12V plugs. If you pop up the armrest lid, you’ll reveal a deep, carpeted bin with another 12V plug. The MKC has a powered lift gate, activated by buttons on the dash, your key fob or on the tail gate itself, or hands-free by swinging your foot underneath the vehicle. It works really well, and once the party trick novelty wears off, it’s still a highly useful function when you’ve got your hands full of groceries. The 712 litre trunk feels big. The rear seats fold down in a 60/40 split although you’ll have to open the rear doors and find the well-hidden lever on the side of the seat to do so. 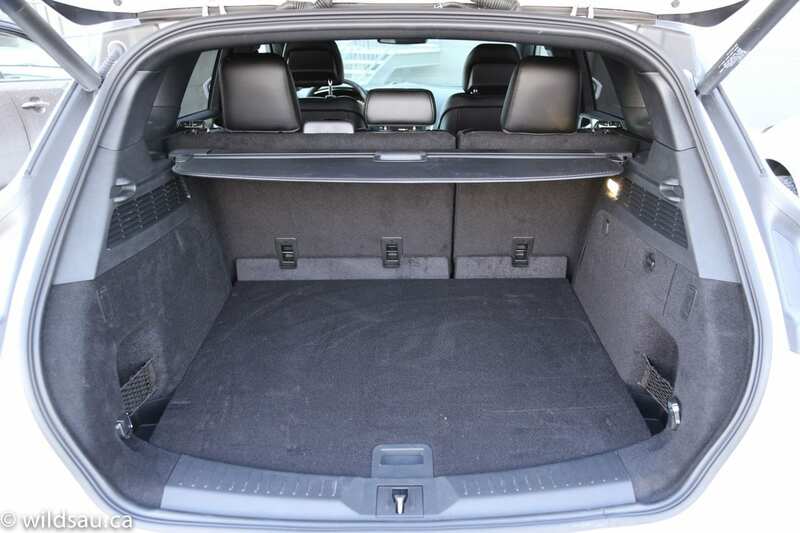 When you do that, the cargo space grows to 1505 litres. You get a removable, retractable tonneau cover and the trunk is equipped with a further 12V plug, handy pop-out bag hooks and a couple of beefy tie-down loops. 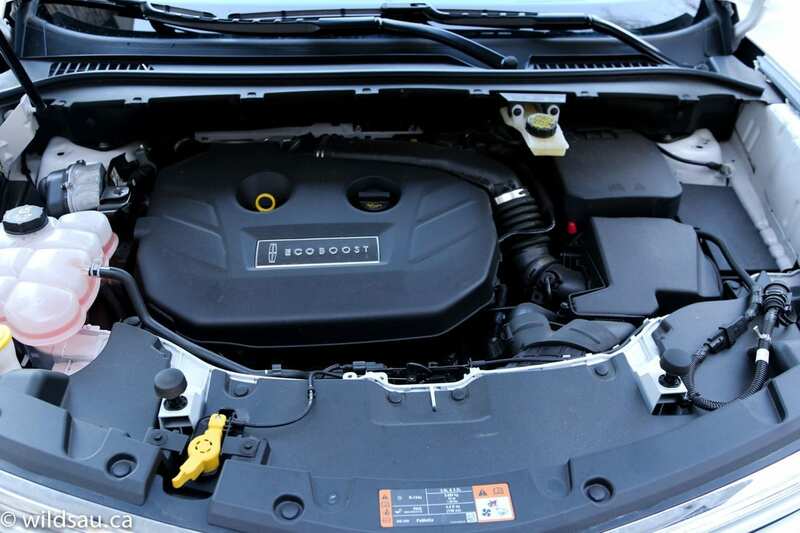 The MKC’s optional 2.3-litre turbocharged 4-cylinder EcoBoost engine is a beast on paper. 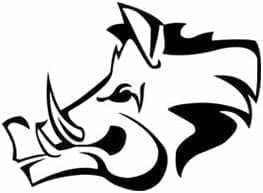 285 horsepower at 5500 RPM and 305 lb.ft of torque at 2750 RPM. Ford is still sticking with its 6-speed automatic, and the MKC is all-wheel drive only with this mill under the hood. Fuel economy ratings aren’t that impressive for such a small engine, but the truth is, we’re kind of used to Ford and Lincoln’s EcoBoost engines being a bit of a let-down in terms of real-life observed fuel economy. 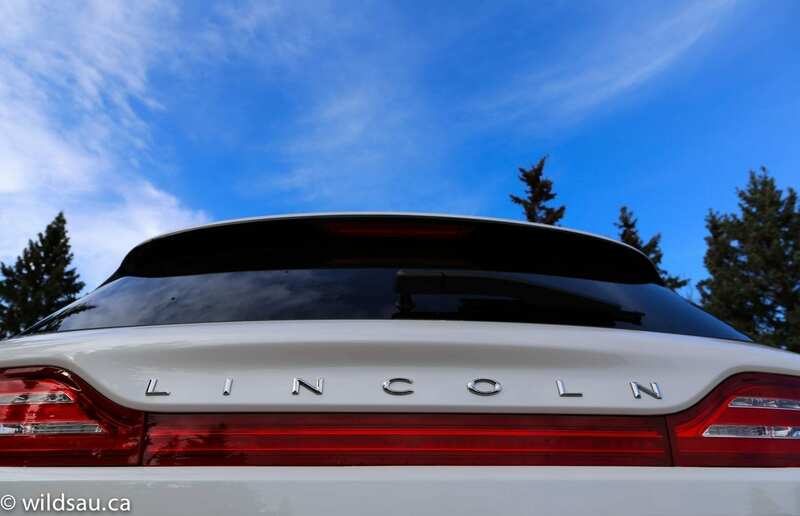 Lincoln tells us it’ll get 12.9 L/100 km (18 US mpg) in the city and 9.2 L/100 km (26 US mpg). The 3968 pound (1800 kg) curb weight is reasonable for this class. We ended up averaging 12.1 L/100 km (19 US mpg), which is not horrible but also not great. 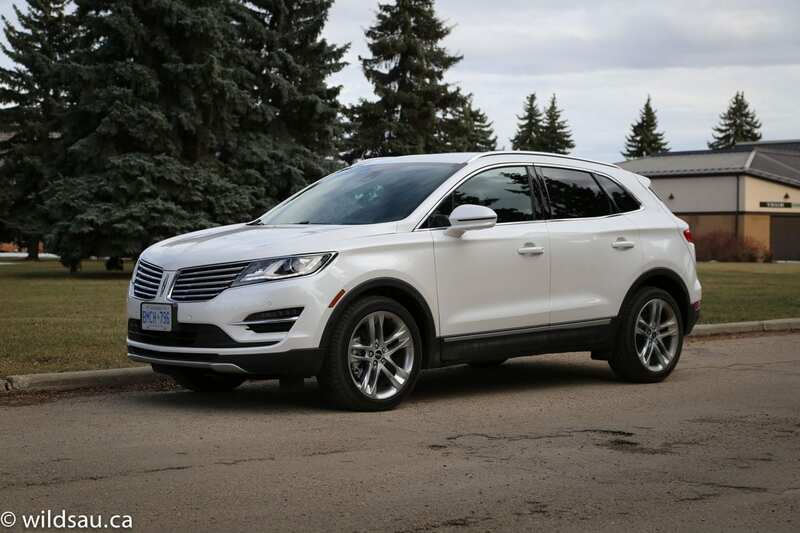 Combined with a relatively small fuel tank, the MKC’s fuel economy makes for an irritatingly short cruising range on the highway. For those who still doubt the capabilities of small, turbocharged engines, it’s time you got over yourself. 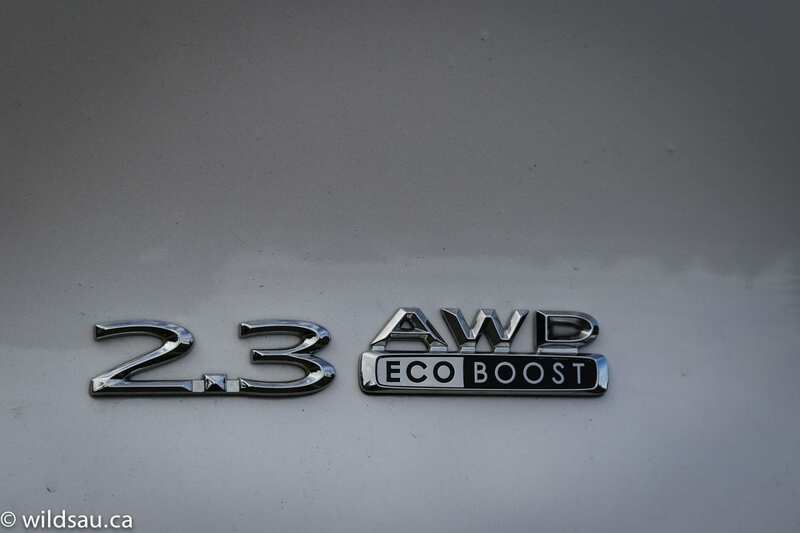 This one, the 2.3 EcoBoost, is shared with the Mustang, and while it gets slightly less power than the pony, it still goes. It feels powerful off the line, and the turbo lag is barely perceptible. 0-100 km/h takes around 7 seconds. As powerful as it is, there’s something missing once you’re on the go and want to dip into that power. I’m not sure if it’s character or sportiness, but it felt like the MKC was a bit short on something under the hood. The smooth automatic transmission can be put into Sport mode which makes things a bit more responsive and holds shifts longer – if you want to, you can also shift manually using paddle shifters. The ride is decently damped, but this isn’t your dad’s Continental. 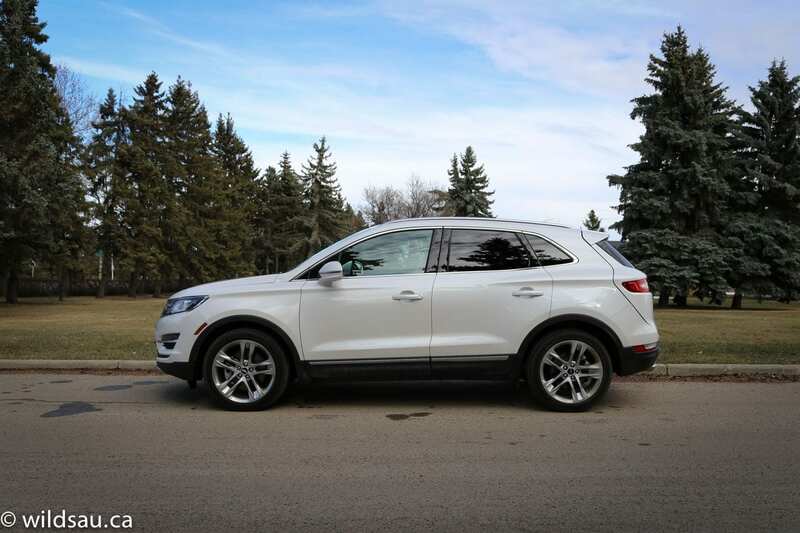 Even with its fancy Lincoln Drive Control adaptive suspension that lets you choose from three ride settings (Comfort, Normal and Sport), the MKC is pretty firm overall, and less plush than some buyers might expect from this brand. In addition, I thought it got a bit unsettled at times. On a good note, I found the MKC’s cornering crisper than expected and quite confident, although the steering feel isn’t very sporty and there’s noticeable body lean. With all the good things said, it’s still not a very agile vehicle. It’s too bad, because the Escape this vehicle is based on is a sharp-handling crossover, but it feels like something was lost in the translation to a Lincoln. 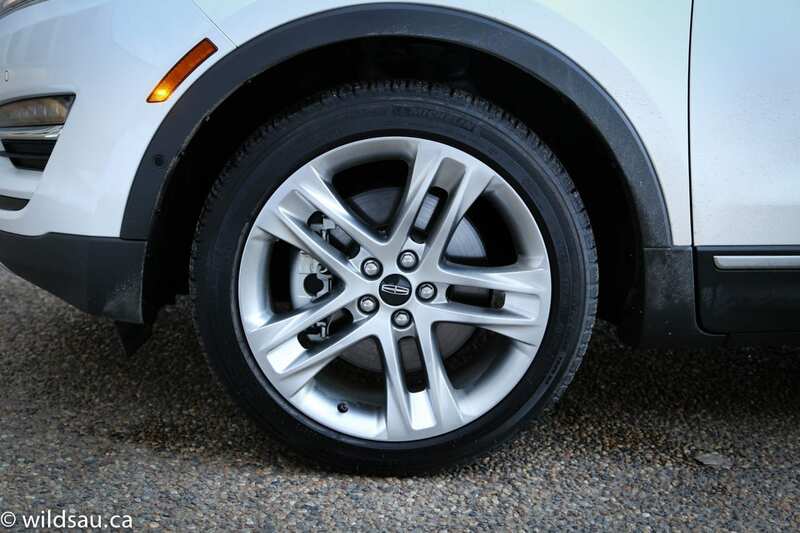 I wouldn’t normally get too excited about the brakes on a compact crossover but the MKC’s are outstanding. Powerful and easy to modulate. Overall, we found the vehicle to be quiet, with just a bit of road noise coming through to the cabin on certain surfaces, which is most likely a tire issue. But the cabin is well-dampened from engine, wind and most road noise. The view out out of the front and sides is great, but rear and shoulder checking visibility is downright awful. Roads were dry so I didn’t get much opportunity to put the all-wheel drive system through its paces – it remained unobtrusive for the most part. 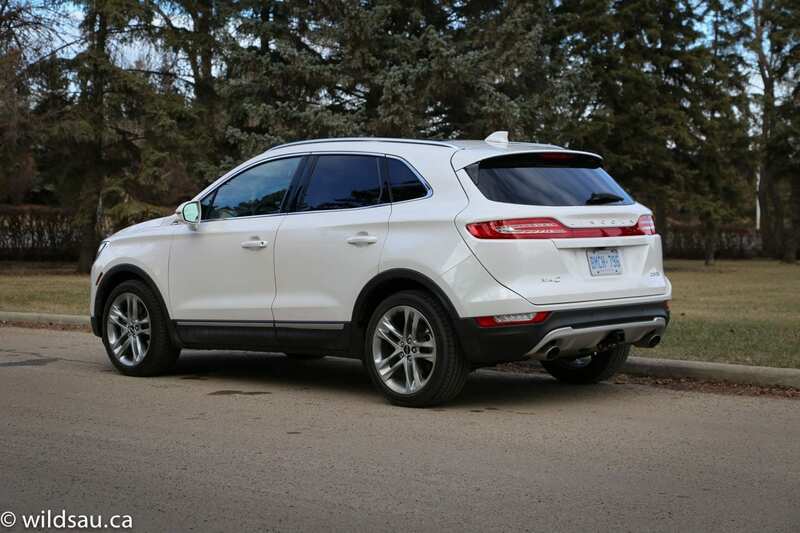 While it’s a nice, cohesive package, the MKC doesn’t exude the sportiness you might expect from its looks. The vehicle, as a whole, is well-sorted, in my opinion – with a few quirks and a few shortcomings that will make it a tough sell at this price – especially in light of the competition. WAF (Wife Acceptance Factor) was quite high. She said it was “very nice” and gave high marks to the seats for their comfort, however she hated the push-button gear selector. Small luxury crossovers are a big deal these days. If you’re cross-shopping the MKC, you’ll probably also be looking at the Acura RDX, Audi Q5, BMW X3, Lexus NX and the Mercedes GLK. 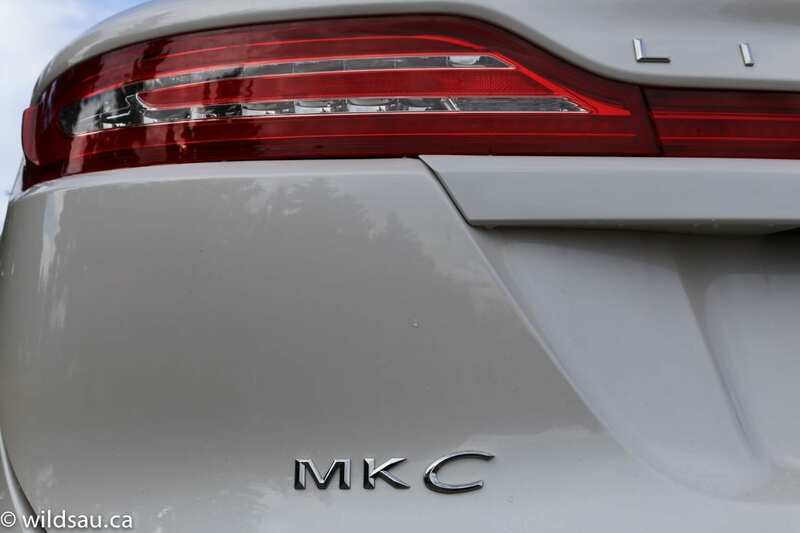 While the MKC is certainly not inexpensive, it generally comes in a few grand less than the competition. 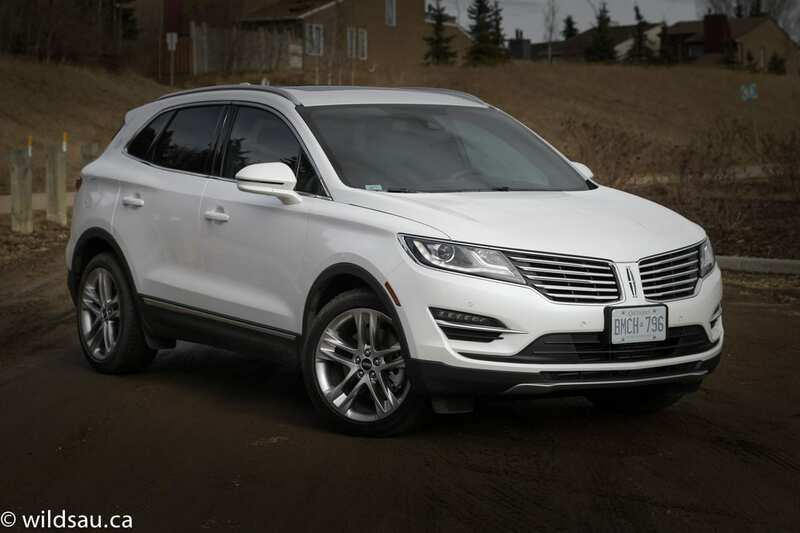 And while it doesn’t enjoy the cachet of those brands, especially the German ones, the MKC is a well-done crossover and certainly a step in the right direction for Lincoln. 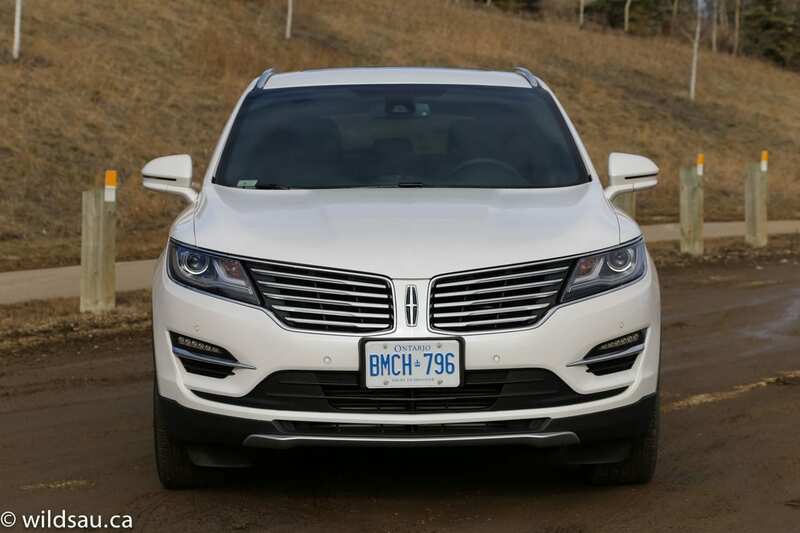 Disclosure: Vehicle was provided by Lincoln Canada.